Tomorrow, Nov. 22nd, 2005, 6 PM, the Centre of Contemporary Art ? Skopie, is going to present its activities in video and photo documents at the Banya Starinna Art Centre ? 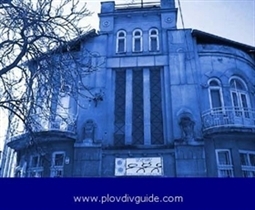 Plovdiv. Nikola Pissarev and Anita Ivkovik are presenting the Skopie Contemporary Art Centre and its subsidiary Art Gallery CIX, the period 1998-2005. The CIX Gallery is one of the most active and productive art presenters in Macedonia for the period 1998-2003. The video presentation is part of the archive of the Skopie Art Center.